My client wanted to circumnavigate, Cape Horn and all! 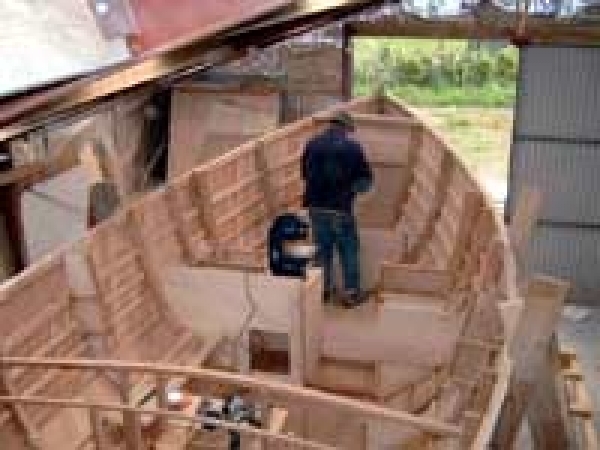 He wished to build the boat himself and had limited skills in boatbuilding, limits on his budget, and a space about the size of a double garage. Sundowner was the boat I drew for him, as tough as I could make her, with a lot of attention to comfort within the constraints of a small boat, and with much emphasis on reducing roll and pitch as I could work into the design.She has standing headroom, can carry up to 1750 lbs of provisions which gives her a long range, has a good galley as well as a chart table which is rare in such a small craft . 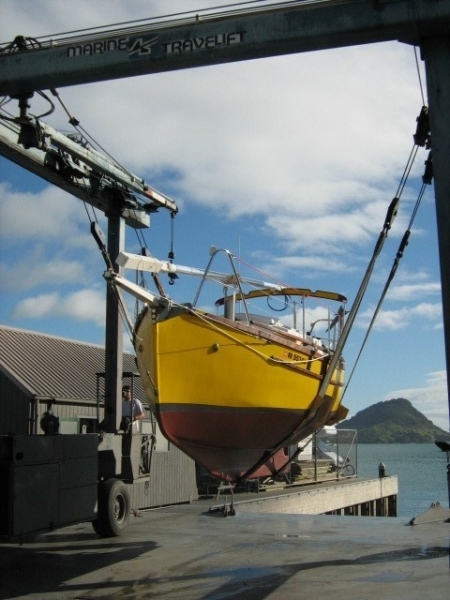 Her side decks are wide, the foredeck roomy, the cockpit deep and sheltered, and the keel long and well ballasted.The gaff cutter rig performs very well, and is well suited to a singlehander, her balance is remarkable and she will self steer on most points of sail without an autopilot.